Hmm “enhanced.” Where have I heard that one before? Richard Anderson is now ruining Amtrak apparently. Nothing is enhanced by getting rid of dining cars. 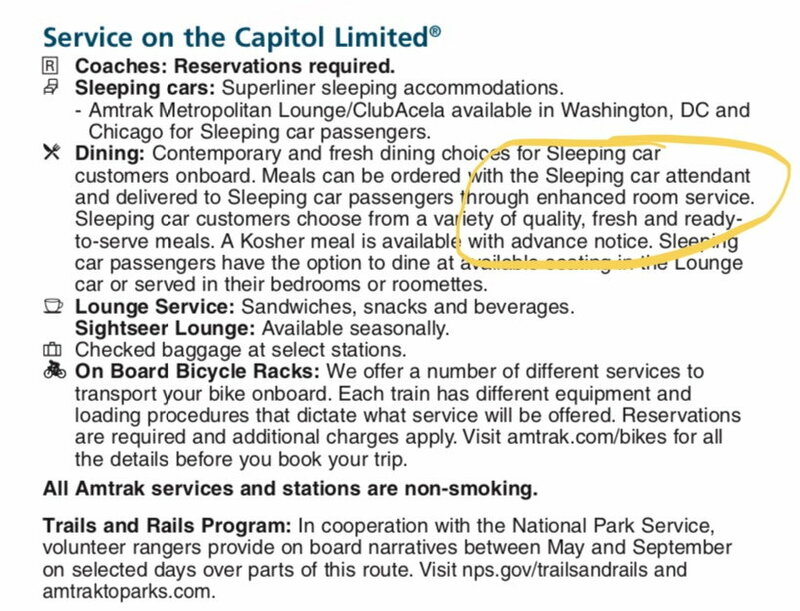 They’re getting rid of the dining cars? That’s terrible! That was one of the fun aspects of a long trip on Amtrak. On a different kind of long-distance travel, I am in the MSP SkyClub for the start of a mileage run/short visit to Tokyo, flying MSP-HND in PS. I looked into lots of circuitous routings to get the 12K MQM I needed and decided that two long flights, earning just under 18K MQM (including the PS MQM bonus) was the easiest option. I’ll have about 2 1/2 days in Tokyo, where the temp on Tuesday is predicted to be over 70º, a pleasant change from Minnesota snow. Next week will be my first TDY out of SAT (excluding SOS which I drove for), so I haven't spent much time analyzing the City Pair routes. However, I had lunch with a friend today who has been traveling quite a bit, and he told me he went from UA Silver last year traveling from COS to AA Plat (Gold in any other system) flying from SAT. Sounds like most routes out of SAT are on AA, so you might want to look into matching there if you're going to be traveling a good amount. I was able to get SAT-CSG-MDW-SAT all on DL for next week's trip. As an FO, I'm hoping for C+ on one of two of the four flights on real planes (two are on the Devil's Chariot). I'll requalify for FO next year, and I should be able to make GM for 2020 with rollover plus DL Reserve spend. Yea I think most of the GSA (at least this fiscal year) are AA, followed by WN and UA. About the only routes that get DL for the GSA contracts are some of the DL hubs and some cities in the SE US via ATL that only DL serves. AUS is the same way. Next year as I start to get a better feel for my TDY schedule I hope I can at least come close to some form of status through AA (if I can also meet the EQD requirements) as well as balance it out with keeping DL status. I will have a decent amount of rollover. Between rollover and then getting at least 15K AmEx MQMs for spend, I am at least GM for 2020 on DL without setting foot on a DL plane so even PM for 2020 isn't a huge stretch. Beyond 2020 - who knows. I still want to try to get DL as much as possible to build as much rollover for 2021 status. So far it’s just the Capitol Limited, Lake Shore, and Silver Star. Rumors are that they’re going to start “enhancing” other routes sooner rather than later. 2 out of every five trips I take on DL from ATL-PNS has quite a large group of Navy recruits going to NAS PNS. Never see them coming off of other airlines (AA,UA,WN) when arriving. So I think what you say hold's merit about hub travel in the SE USA. It's time to survive Monday, AKA Thorsday-overmorrow eve. I'm determined to make it a great day somehow. the cat started making gagging noises at the foot of the bed ~0330; I grabbed her and carried her into the bathroom so she would barf on vinyl rather than carpet ... after cleaning it up, I decided it wasn't worth trying to go back to sleep for half an hour, and decided to shower and dress and leave for the airport earlier ... in the car ~0415 I got an alert that my 0740 SEA-LAX was delayed ~20 min, so I called to SDC to the 0600; en route from parking ~0450 I checked the F seat maps for SEA-SLC-LAX (0600 arriving 1100, which was actually before the delayed flight was now getting in), and finding a few I tried "Change Flights" on a kiosk ... "There are no other available flights to LAX. Please see an agent for assistance." went thru TSA and called the PM line at 0505 (while standing by the gate for the SLC flight) ... the agent tried to tell me "no SDC from a nonstop to a connection" ... uh, no ma'am, it's "no SDC from a connection to a nonstop"
Uncanny how they never find their way into the tile, isn't it? Sorry about your sub-par SDC experience. 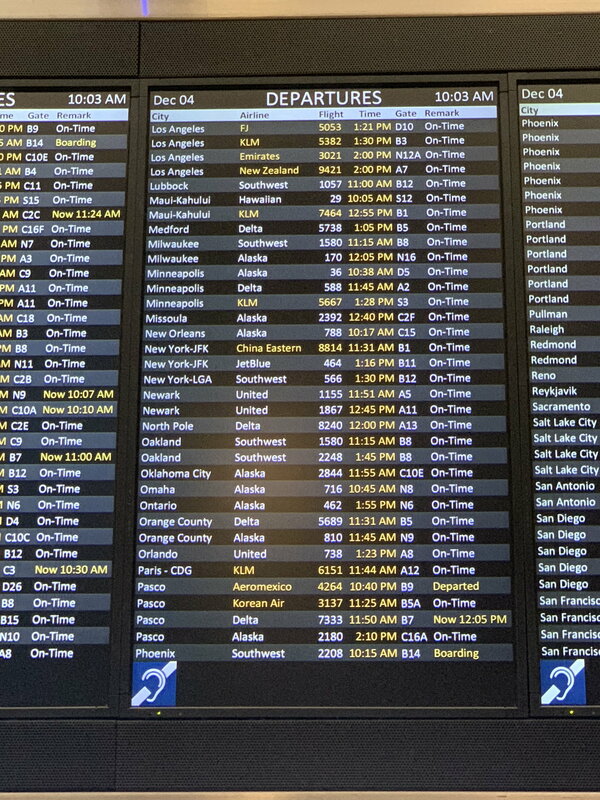 Then on the return, I again SDCed to an earlier flight which, you guessed it, posted a delay due to frame swap for MX. So I switched again to a flight scheduled later (but now earlier) and still got in before my original flight, thankfully. Cats know they're both predator and prey to larger animals. So they're hard wired to try to find a place to hork where they can successfully bury the hairball evidence of their existence, and are aware enough that they think they've got a better chance of hiding the evidence in carpet, preferably of the shag variety, than on a smooth solid surface. Same cat logic of why most of them prefer to bury anything they put into the litter box. Are you a cat psychologist?!?!? I could have waved at you. I'm sitting about 5 miles from the SLC airport right now. If cats are so keen on keeping their existence secret, can somebody explain why my cat has to keep peeing in front of the dryer? It's right across from the litter box. Of the amateur variety- some of the cats I've had have been pretty eccentric even by feline standards and I've found myself trying to make sense of their quirks. Howste, Zorak and reimero like this.